Our services include gib stopping, wall linings, heated ceilings, repairing water damaged homes and skimming for new homes and renovations. We fit all decorative plaster including ceilings, ceiling panels, ceiling domes, cornices, architectural columns, archways, corbels, niches and plaster fireplaces. Plaster is a tough, versatile material which can be cast into any imaginable shape making it ideal in many different situations. It offers unlimited design possibilities from ‘traditional European’ designs to ‘modern contemporary’ styles. You can read more about the benefits of plaster, especially when choosing a ceiling finish. All of our decorative plaster products are manufactured in the Waikato by Plasterglass Manufacturing Ltd using best quality, original reinforced plaster. 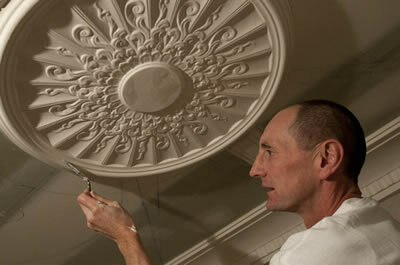 You can see examples of work our plasterers have completed in the gallery.